Born in Edmonton, and growing up in Fort McMurray, Dr. Higson is proud of his Alberta roots. He graduated from the University of Alberta, where he received both his undergrad and dental certification before heading north to settle in Grande Prairie. 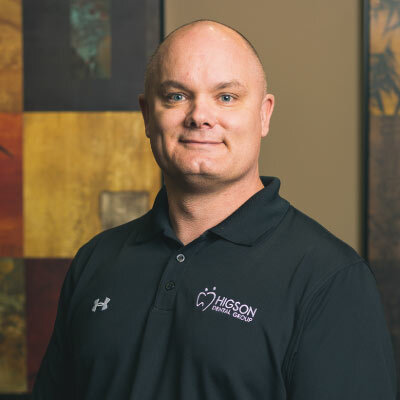 Over the last 18 years, Dr. Higson has established himself as one of the community’s most trusted dental practitioners and has provided dedicated care for the teeth of local families every step of the way. He continues to evolve in his field and further his education so he can offer most advanced treatments in cosmetic dentistry and restorative dentistry, endodontics, periodontics and dental implants. Work and family have always been a passion for Dr. Higson. When he is not at the office, he regularly attends educational lectures, spends time with his family and explores what life is like without the kids at home. Some of his other favorite pastimes include fishing, quadding, investing and business ventures outside of dentistry. Dr. Higson provides services as a general dentist at Higson Dental Group and is reviewed highly by his patients.